Evaluation helps us improve our teacher professional development activities, and the impact SMILE clubs have on the academic success of underrepresented students. 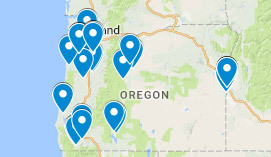 SMILE clubs and activities are based on the needs of our partner school districts, and these partnerships are renewed each year. The SMILE program has served more than 7,500 students and 365 teachers. Our data collection is from student applications and evaluations by students, teachers and parents. Participant evaluations are taken at the conclusion of SMILE events, and the feedback contributes to improving similar future events. 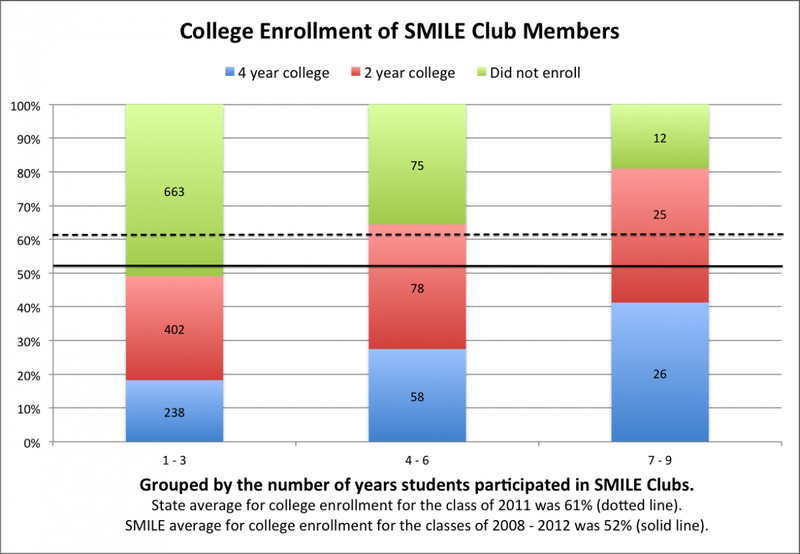 Students with two or more years in a SMILE club graduate at 85%, and students with four or more years have a 95% graduation rate.